College Recruiter is currently focusing on employee resource groups (ERGs) and is publishing the opinions of experts based on a series of questions. In today’s article, Mary Beth McGrath, Vice President of Global Talent Management at Level 3, discusses the importance of ERGs and how they benefit both employees and employers. “Employee Resource Groups are an essential aspect of Level 3’s corporate culture. They allow employees to create their own support system, unite employees with common interests, such as ethnicity, gender, nationality, lifestyle or sexual orientation, lead the way for organic expansion of our employee culture, and contribute to workplace diversity and inclusion, in support of our business objectives. By allowing employees to join any of the groups in which they have an interest, they are able to build a meaningful network within the company. These groups increase business value, employee engagement, talent development, and customer insight. 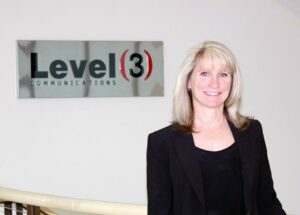 Mary Beth McGrath is Vice President of Global Talent Management for Level 3 Communications. In this role, Ms. McGrath is responsible for the development and implementation of global talent strategies and programs, including corporate social responsibility, designed to attract talent and increase leadership and organizational capability. She and her team of talent management professionals enable the business to achieve its strategic objectives and deliver against the goal to be an employer of choice.